Jorja Smith truly personifies the whole package. Youthful, beautiful, motivated and beyond talented, Jorja celebrated her 21st birthday with the release of her debut album Lost & Found, a soulful gem that received universal acclaim. After becoming a regular on festival lineups, touring all over the world, landing on the Mercury Prize Shortlist, and taking home the Brits Critics’ Choice and AIM UK Breakthrough of the Year awards, Jorja is topping off her explosive year with a 2019 GRAMMY nomination for Best New Artist. The legendary John Prine is back on the ballot for the first time since his Hall of Fame recognition in 2015. The influential Americana musician has been listed under both Best American Roots Song and Best Americana Album for The Tree of Forgiveness. Both “Knockin’ On Your Screen Door” and “Summer’s End” are up for Best American Roots Song, bringing John Prine’s total to three nominations. It seems the GRAMMY voters can’t get enough (and neither can we). That’s not all! More of The Orchard’s artists appeared in the major genre categories. After a surreal year of TV performances, sold out stadiums and a recent collaboration with The Chainsmokers, Kelsea Ballerini earned a spot on the Best Country Album list with her instant classic Unapologetically. Producer and DJ TOKiMONSTA also earned a nomination for Best Dance/Electronic Album with her intricate, infectious LP Lune Rouge, the rising icon’s first record since her comeback from a disease that left her without language and music comprehension skills for some time. Both of these artists are on the cutting edge of their respective genres and we can’t wait to see the grand reveal on GRAMMY night. The 61st Annual GRAMMY Awards take place on February 10, 2019 in Los Angeles. 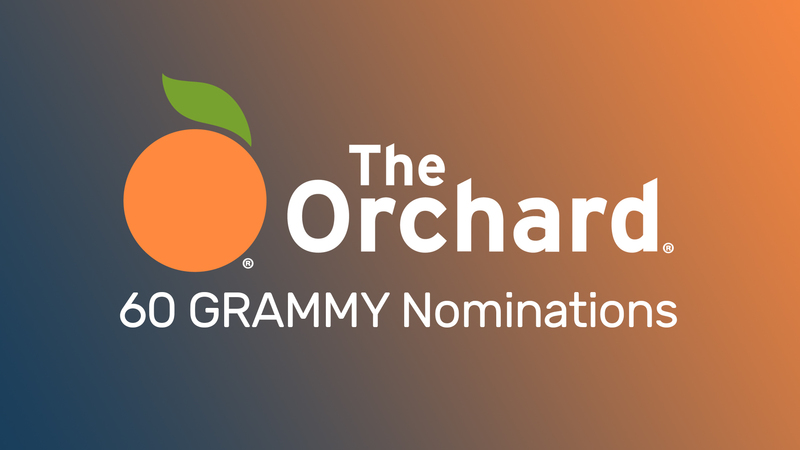 Find The Orchard’s full list of nominees below and find a complete list here.